Assembling More Than 50+ Local & Overseas Artistes! Invading OneCity with Feel Good Happiness! Under the same roof of Media Prima, there will be a collaboration between radio station one FM, ntv7 & 8tv八度空间 in bringing you Yuan Carnival! This time around, Yuan Carnival will be featuring even greater line-ups than ever to present to you one of the biggest Carnival in 2014 over the weekends of 4th October 2014 & 5th October 2014 at OneCity @ USJ25, Selangor! Yuan Carnival main aim is to gather all media companies under Media Prima including One FM, ntv7, 8tv as well as public community to enjoy the carnival together. Yuan Carnival this year will be bringing along many interesting activities. Plus, there will also be LED screen which will display social media Hashtags, LIVE messages, TV program trailer preview and etc. You can also share your memorable moments at Yuan Carnival by uploading photos to Facebook or Instagram with the hashtag of #yuancarnival. Yuan Carnival will be held for two days from 3pm to 11pm. The organizer will be preparing activities booths such as local TV drama booth and all of the visitors to the carnival can get a chance to play games & win some prizes. Besides, you can also receive very nice goodies if you register Tonton account at Tonton booth during the carnival. The kids can also have fun at Tonton booth with the special painting wall. Another main attraction during Yuan Carnival 2014 is the assembling of over 50 celebrities from local as well as overseas. 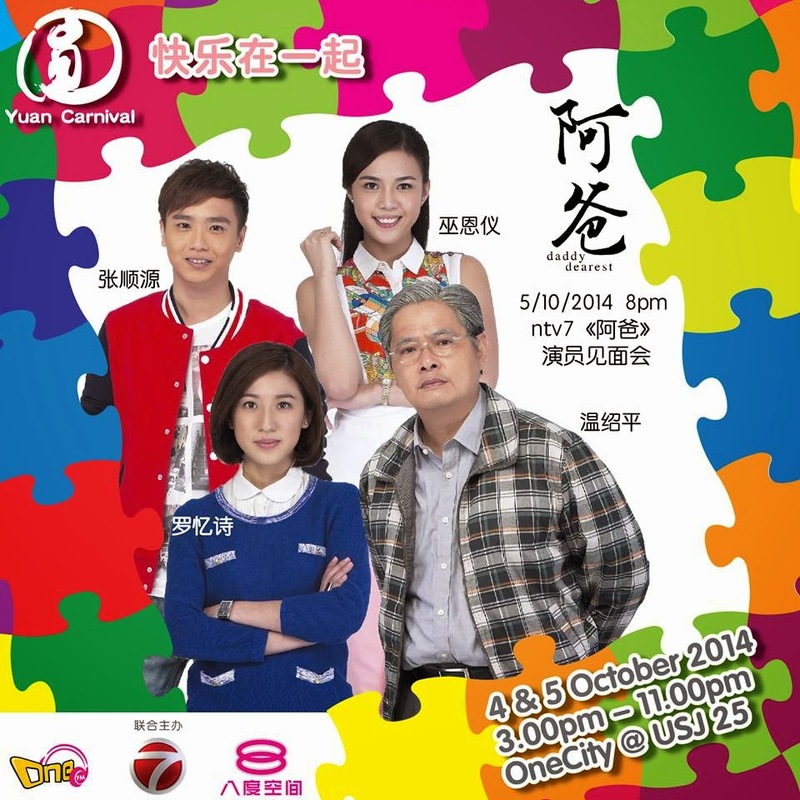 The overseas artistes who will be attending Yuan Carnival include Hong Kong popular actors and actresses, Edwin 萧正楠, Benjamin 袁伟豪, Nancy 胡定欣 & Eliza岑丽香. They will be sharing their latest news with us during the carnival as well as interacting with the lucky fans through games. 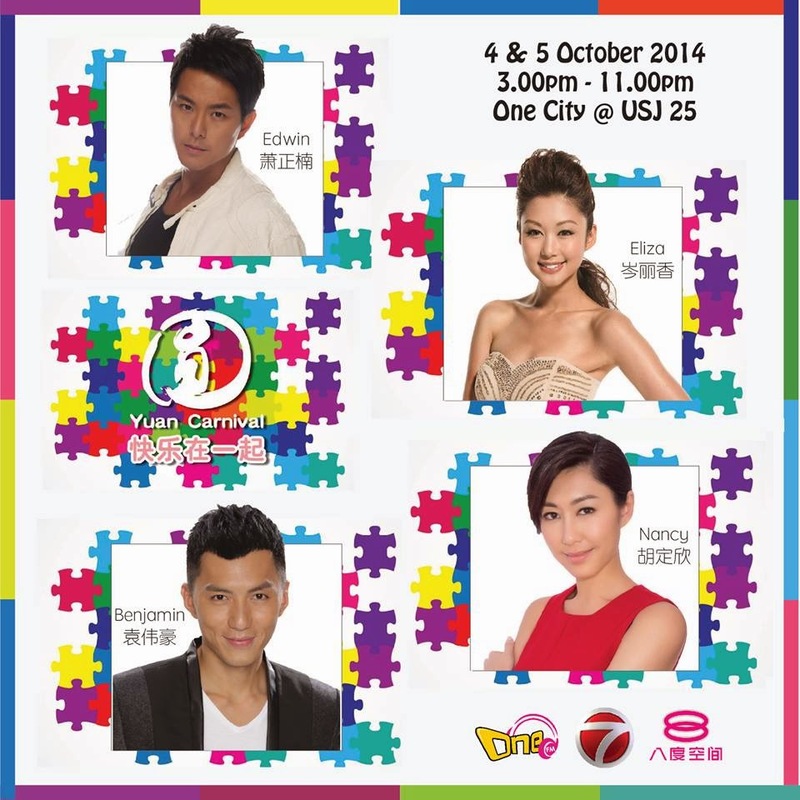 If you want to get up-close and personal with these artistes, be sure to come over to Yuan Carnival 2014! The casts members from the current ntv7 drama《阿爸》including, “阿爸” (Daddy)温绍平“ alongside the孩子们 (children), 巫恩仪, 罗忆诗&张顺源 will also be making an appearance at Yuan Carnival. Besides playing games with the artistes, you can also have the chance to redeem their autographed posters! 8tv八度空间 mystery drama《凌晨3点3》casts including Yise罗忆诗, Henley许亮宇, Alvin王竣, Jane黄明慧, Belinda徐慧华 & Emily陈子颖will also be there at the carnival. Besides actors and actresses, 《星聚圆游》音乐会 has also gathered some local singers to perform during the carnival. It includes Gary 叶俊岑with his album《勇敢先生》, Danny温力铭 with his album 《K哩啡》 & Orange 陈慧恬 with her album《HELP!》will be performing LIVE during the carnival! 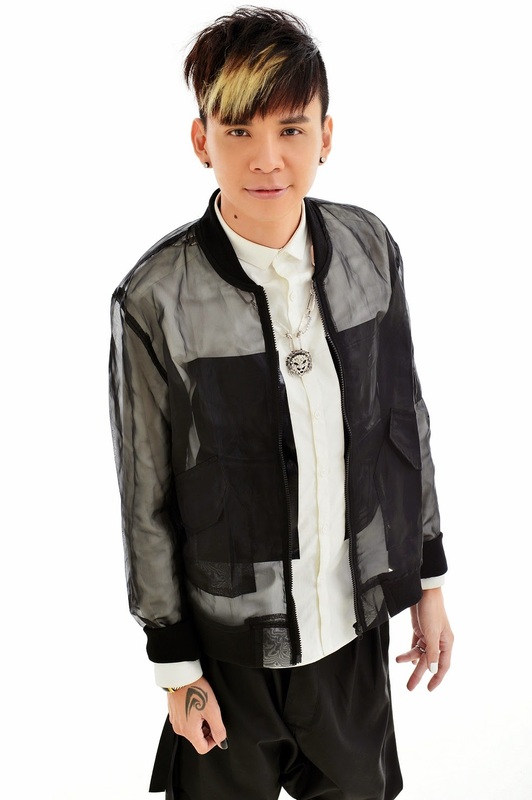 KahJun凌加峻 who has just released his singles 《无所谓》will also be singing during the carnival. Vivian蔡忆雯will also bringing her new album《IF假如》 to meet and greet the fans. Kvinx升广will also be sharing his all new 《Real Man真男人》. 8TV《非常好歌》Shio郭修彧, Marcus林轩羽, Colbie王思涵 & Pak Meng杨百鸣 will also be there to mesmerize the crowd with their great vocals! The hosts from 8tv八度空间 including Gary 叶俊岑, Natalie小玉, Orange 陈慧恬, Winson温胜光, Chrystina 黄玮瑄, Wind 李诗斌 & Bernard森竣 plus ntv7蒋珮珮, 吴维彬, 程珈琪, Angeline黄玉丽, 陈丽亭plus one FM DJ including Jack叶朝明, Yoon 吴家润, Apple张淑萍, Mei Sim云镁鑫, Nicholas翁书尉, Wayne唐纬颜& Kyan林志遵 will also be interacting with fans up-close during Yuan Carnival! The fun doesn’t just stop there as ntv7十大艺人 including Frederick李洺中, Adrian陈凯旋, Lawrence王冠逸, Kyo庄仲维, Jan秦雯彬, Karena张惠虹, 王爱玲, Jojo吴俐璇, Jeffrey庄惟翔 & Fabian吕志勤 will also be meeting the fans at Yuan Carnival! 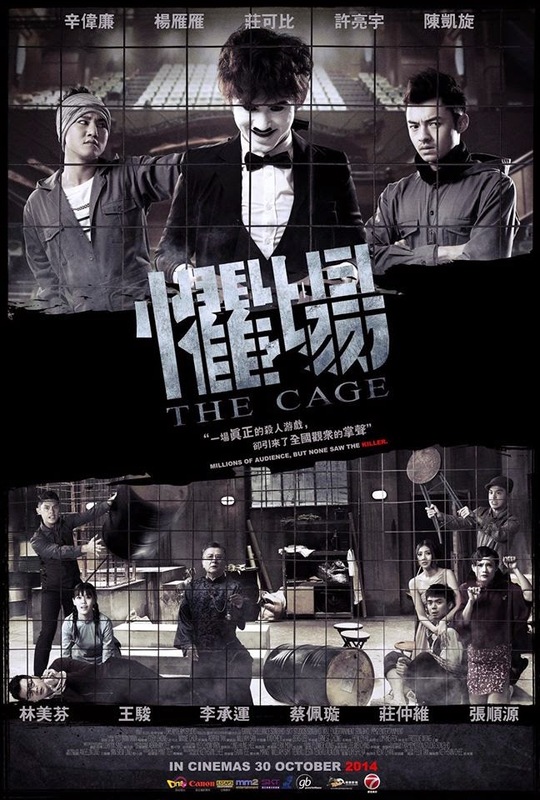 The director for《懼場》陈炳丰& 池家庆 alongside with Kyo庄仲维、Berg李承运和Ernest张顺源 will be sharing with on how they filmed 《懼場》with no written scripts prior to the filming. There will also be some workshops and sharing sessions including《聆听世界》慈善义卖、《甜点之王》杯子蛋糕教学、美甲教学、发饰教学、机壳手绘DIY、风水与脸相分享会、体质指数分享会、新闻主播时事分享会、POCOTEE创意手绘T恤分享会和“税务达人”孔令龙《消费税大时代》讲座会 and etc. If you are good in singing, dancing, acting or has any other talents, then you must come and participate in《圆游会才艺秀》. It has two categories, kids category is open to children aged 6 y.o to 12 y.o and adult category for those who are aged 18 y.o & above! The total prize worth over RM 1000. If you are interested, please visit www.onefm.com.my , www.ntv7.com.my & www.8tv.com.my for more info and you can download the registration form there too. There will be lucky draws during the carnival too which allows you to win prizes such as smart watch, flight tickets and cash vouchers. You can also buy exclusive merchandises such as《圆游会》bag, T-shirt, cup, pillow, note books and etc. There will be special promotions for all these merchandise and they come in package known as “WOW袋”, ranging from the price of RM 10- RM 45! Bananana! Will also be featuring 哆啦A梦、小企鹅Pororo、罐头宝贝Canimals、爆笑虫子Larva at the carnival. 《圆游会》will also be featuring ntv7 mascot “圆圆”& 八度空间 mascot “泡泡”！They will be interacting with the crowd and you can get the opportunity to take photos with the, Besides, one FM“一号奇兵”& 8tv八度空间“八宝奇兵”will also be visiting areas around the venue of Yuan Carnival《圆游会》one week prior to the event to meet the local people there and give out prizes to them! Key in hashtag #yuancarnival in social medias to know more info about the carnival ! You can also visit www.onefm.com.my , www.ntv7.com.my & www.8tv.com.my for more details.